The transportation of any works of art of great value from one country to another can be quite tricky and would usually require a lot of planning, not to mention the cost of such shipment. Making arrangements for international freight shipping of art objects is a little complicated and would require some useful knowledge on customs documentations and the regulations governing the transport of certain objects. Inexperienced artists and organizers are usually advised to hire the services and expertise of a highly regarded shipping agent who will be able to adeptly manage the necessary measures to ensure a successful shipment. Most international freight shipping companies have certain field of specialties. Some are more experienced in the shipment of general goods such as furniture and there are a few who really specialize in transporting different artworks. Make sure you choose the shipping agent that has extensive experience in handling delicate art pieces, otherwise you will run the risk of having your art objects treated as ordinary furniture. It is important to plan ahead of time when you want to avail some international freight shipping services for your precious art objects. Organizers of art exhibits would normally have a large-scale shipment so it is essential to plan at least three months ahead. Be sure to have a copy of the range of quotes and competitive rates of shipping agents so you will have a basis for making a comparison. In inquiring for shipping fees, include the cost of delays, custom clearance rates and freight charges. It is also highly advisable to visit the premises of your shipping agent to check how they usually handle and store the artworks. It is also important to provide all the necessary documents and required paperwork for the international freight shipping of art objects to avoid needless delays or even seizure of your goods, which would undoubtedly incur more additional charges. Such delays could potentially wreck havoc on the finances and on the promotions of the exhibit, so it would be best to make all the preparations than suffer because of negligence. Depending on the type of art objects (paintings, sculptures, etc. ), it is equally imperative to oversee the packing and storage of the art objects to ensure that all the art pieces will not suffer any damage or scratches. Ask for expert assistance on what would be the best shipping material to use that would provide sufficient security against any damages or shock during the movements in transit. Some international freight shipping companies have specially designed foam moulds that are tailor made to absorb shocks and even regulate the temperature. The Emery Express air freight was founded in 1946. It was the air shipping forwarder to operate with a license from the CAB or the Civil Aeronautics Board. The Emery Express had been working in partnership with famous airlines and was given a certification as the universal air shipping carrier. By that time, the Emery Express carrier operated out of New York headquarters with a flotilla of automobiles that specifically two Ford class wagons. Since then, the express air freight has produced over $2.9 billion ocean, global air customs brokerage and other logistics company. After ten years, the company had expanded its services overseas. Its first international agency was built in London and had established transatlantic service. 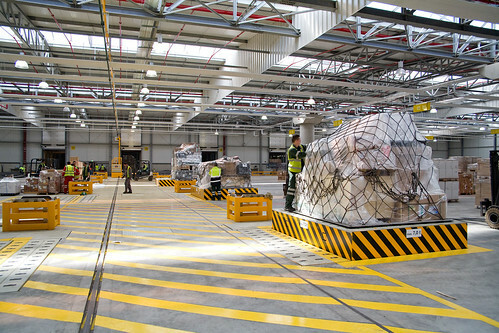 The express air freight advanced to the edge of modern technology. The computerized tracing and tracking system known as the Emery Control or the EMCON was developed. Unfortunately, fuel crisis arise during the time of early 70s. The company had prompted to charter its own airliner and consecutively launch the famous Emery Air Force in the mid 70s. The company now offered additional services such as closed-loop operation of the transportation process, from pick up to delivery using the Emery aircrafts and trucks. In 1987, due to an offer for expansion in the letter market, the Emery Express coordinated and get hold with the “Purolator Courier”. But the acquisition turned to be unsuccessful. The Emery exerted more effort to carry on its services until it was purchased by the famous airfreight known as the Consolidated Freightways Inc. The CF Inc. eventually merged Emery with CF airfreight- CFI’s Inc. present air shipping company. CF that time became the parent and owner of Emery. Thus, the new Emery known as the Emery Forwarding was founded. After 2 years, the new Emery, known as the Emery Forwarding again struggled monetarily. In return, the CFI Inc planned and implemented marketing and management restructuring that paved way for Emery to become the share leader in the air freight business. By 1992, new marketing strategies and operations had begun to turn the air freight industry around. Little by little, it had brought back the confidence of the costumers. The company had received several awards from known companies as the “primary carrier”. Undeniably, the company has set to its good financial setting. Its profit gained and at the same year, it won a 10 more years of $1 billion contract from the US postal office to carry out express mails. The Emery Forwarding has launched its logistics services in 1992. It also improved its air global and ocean customs brokerage. In addition, the company upgraded its information system to meet the needs of the customers. On the other hand, the Emery’s parent company- the CFI Inc, reorganized itself with the development of new motor carrier unit. Eventually, it was renamed CNF Inc. with its existing company, the Emery, Menlo Logistics, and the Con-Way Transportation Services. In 2001, Emery Forwarding was merged with Vector SCM. It has been part of the Menlo integrated group of service providers. Today, Emery Forwarding still looks forward to dealing with more customers in a different direction to a better strategy and more supply of good services and business solutions. The company as part of the Menlo group now proffers ocean forwarding and global air services. It is reported to have a record of 12,000 employees providing 200 countries with chain services and business solutions.